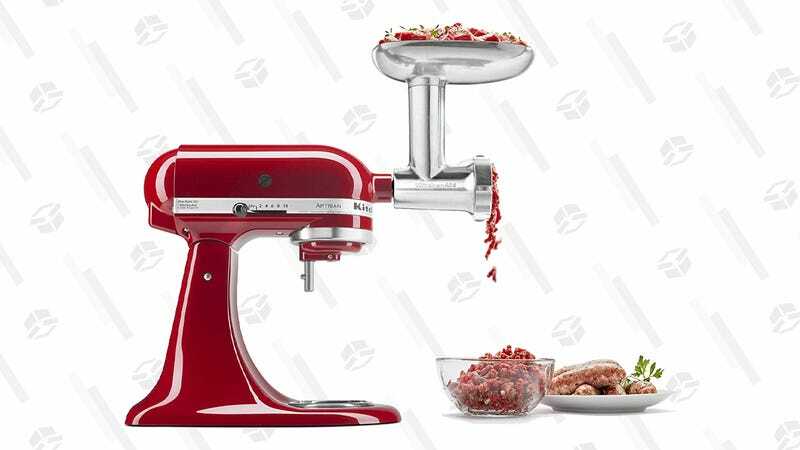 Any burger lover worth their salt knows that grinding your own meat is absolutely essential if you want the best possible results, and if you already own a KitchenAid, you can add a fancy, metal grinder for just $53 today, $20 less than usual. Want to control exactly how much fat is in your burger? Want to create beer and chorizo blends? Want to actually see how the sausage is made... by making your own sausage (with an extra adapter)? This is a no-brainer kitchen purchase.